The Virgin Islands continue to experience drought conditions with a significant reduction in rainfall recorded throughout the Territory. As predicted by the Caribbean Regional Climate Centre, mixed conditions are being experienced in the eastern Caribbean while the rest of the Caribbean ranges from severely dry in some islands to extremely wet in others. Drought conditions are severely affecting parts of Puerto Rico with 20 percent of the island experiencing extreme drought conditions causing water rationing by authorities. The drought conditions in Puerto Rico are affecting residents, farmers, as well as tourism, while islands like Dominica are seeing some of the wettest months on record. Rainfall statistics accumulated by the Department of Disaster Management (DDM) for the period January to September reveal a total of only 7.25 inches of rainfall from the Paraquita Bay weather station and 10.26 inches from the Valley, Virgin Gorda station. Comparing the same period in 2014, rainfall totals were at 20.81 inches for Paraquita Bay and 19.99 inches for Valley, Virgin Gorda. The drought condition is exacerbated by limited rainfall due to a harsh El Niño which has been affecting the region since the first quarter of the year. The situation is being further affected by the presence of an abnormal amount of dust and dry air over the southern Atlantic which is hampering any tropical development. The Caribbean Agro-Metrological Initiative (CAMI) has stated that the El Niño is now classified as strong with the possibility of further strengthening and lasting until February to March 2016. This translates into below normal rainfall for the majority of the Caribbean and a continuation of the current drought conditions. With school back in full session, Health Disaster Coordinator, Dr. Ronald Georges is reminding parents with young children and persons caring for the elderly to ensure that they are protected from the direct heat and that they are always hydrated. He said the main concerns in the health sector at this time are dehydration, increase in respiratory conditions and heat stroke, especially among children and persons working outdoors. Dr. Georges also warned that any sporadic periods of rainfall has the potential for quick increases in mosquito breeding possibly resulting in dengue and Chikungunya cases. Another concern arising throughout the community and particularly among pet owners is the increase in ticks in dogs. 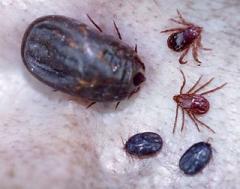 Populations of the Rhipicephalus sanguineus (brown dog tick) increase dramatically with warmer weather and droughts. Dog owners are encouraged to bathe their dogs with anti-tick solutions adequate for the tropics. Residents can consult their private veterinarian or call the Veterinary Division at 468 6123. 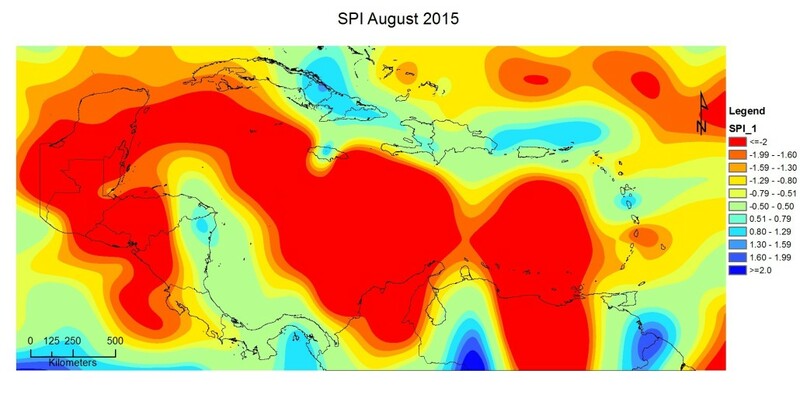 Agro-meteorologist with the Caribbean Institute for Meteorology and Hydrology, Mr. Adrian Trotman has stated that the conditions are expected to worsen as El Niño intensifies into the last quarter of the year. He added that although some countries are experiencing periods of rainfall, this relief is predicted to be temporary and that the real concern for rainfall shortages will come late in the year. With drought warnings in effect for some neighbouring islands, residents of the BVI are encouraged to implement management plans that conserve water. Farmers are also encouraged to consider mulching as a way to reduce water loss due to evaporation.